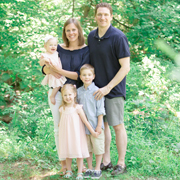 Karl and Carolyn Zimmerman will not experience an empty nest as long as they have a vineyard in their backyard. The couple converted their Snyder County corn and soybean farm into a vineyard in 1989, and their four adult children have since returned home to join the family business. Carolyn jokes they likely would not have come back for careers in agriculture. 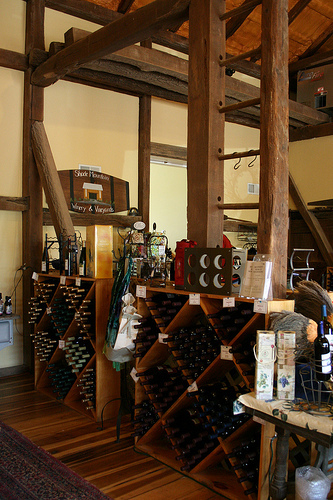 Shade Mountain Vineyards is the largest vineyard we visited during our libation vacation. 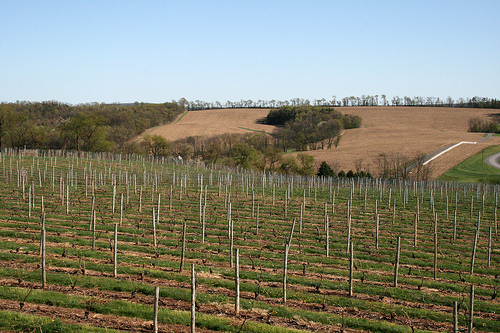 The 65 acres of fertile Susquehanna Valley fields cultivates all of the grapes and hybrids used in Shade Mountain’s wines. The fruits are also used by neighboring wineries like Brookmere in Mifflin County and Allegro in York County. The Zimmermans grow over 40 varieties of grapes, including Cabernet Sauvignon, Merlot, Pinot Noir, Syrah, Sangiovese, Chardonnay, Pinot Grigio, Riesling, Traminette, and Viognier. 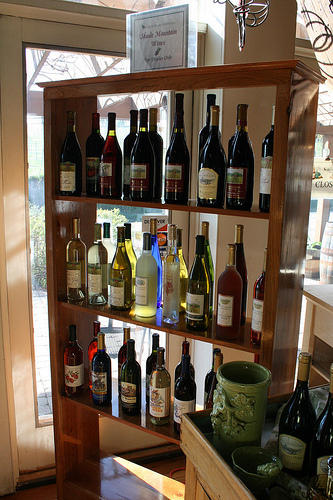 All varieties are harvested, fermented, aged, and bottled on site. 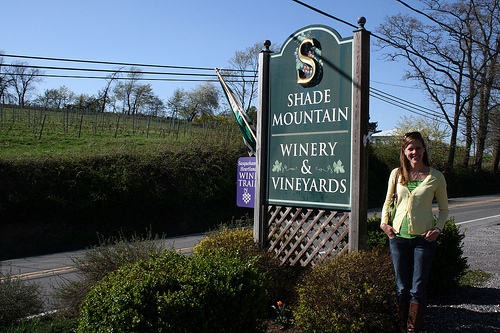 Shade Mountain produces close to 25,000 gallons of wine annually. In addition to the classic varieties, the Zimmermans develop creative blends, as well. The Mint Wine combines traditional white table wine with fermented spearmint. It’s light and refreshing, and we look forward to using it to make mojitos this summer. The Edelweiss is a semi-dry white with a distinct floral aroma, and the Lemberger is a light-bodied German red wine with hints of pepper. Both are worth tasting. Now Carolyn is not only an innovative winemaker, she is a clever recipe creator, too. And you know that is something The Culinary Couple appreciates. Last weekend Nick and I prepared one of Carolyn’s most popular recipes to share with my parents: Plum Chicken. 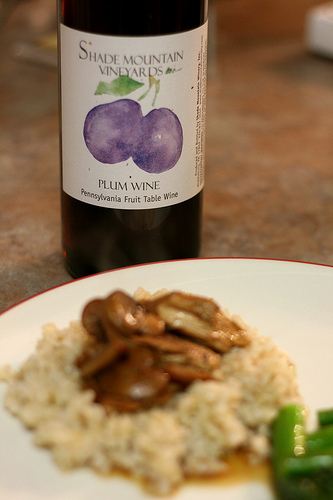 Plum Wine is a popular beverage in Asia, and this recipe combines traditional Asian flavors with Shade Mountain’s sweet and smooth vino. The recipe was a hit, and we’re anxious to add flavor to more of our recipes with wines made by the Zimmerman family. Whisk together wine, soy sauce, olive oil, water, garlic, ginger, and brown sugar. 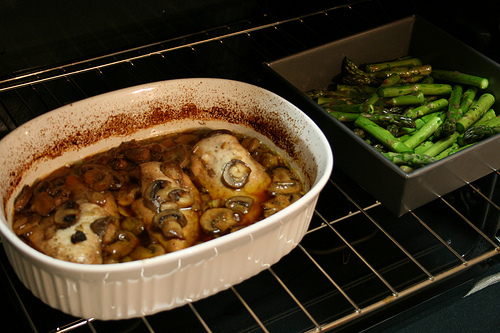 Arrange chicken breasts and mushrooms in a baking dish and pour wine mixture on top. Cover and bake at 375° for 1 ½ hours until chicken is tender. Serve over cooked rice. Next up: It takes beer to make wine. Have you been to Spyglass Ridge in Sunbury? 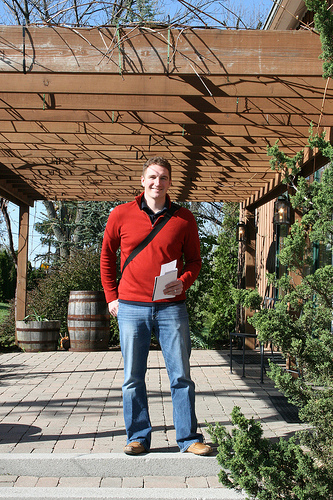 I’m recapping that one next, and it was our favorite winery of the weekend.